City Imaging Ultrasound for Women, Camberwell Imaging Ultrasound for Women and Peninsula Imaging Ultrasound for Women are friendly specialist ultrasound practices offering a full range of ultrasound examinations to women of all ages, including obstetrical ultrasound, Down syndrome screening and counselling, preeclampsia screening, amniocentesis, chorionic villus sampling and gynaecological ultrasound including endometriosis assessment and tubal patency assessment. State of the art equipment is used, allowing fetal ultrasound assessment in 3D and 4D. Our services are provided by specialised sonographers with expertise in women's health and by both male and female Obstetrician-Gynaecologists with a subspecialty in Ultrasound. City Imaging Ultrasound for Women is situated next to St Vincent's Private Hospital on the 3rd floor of the Healy wing, 41 Victoria Parade in Fitzroy. The room are newly renovated, purpose built, light filled and spacious. There is some street parking available and there is a car park in Fitzroy street behind St Vincent's Private Hospital and on the opposite our practice on the other side of Victoria Parade. Fees apply. 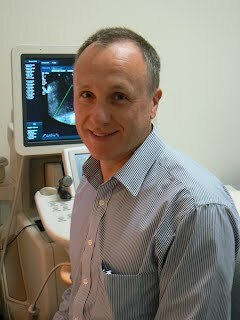 Peninsula Imaging Ultrasound for Women services the Mornington Peninsula. Our rooms are in a small newly renovated house on the Moorooduc Highway in South Frankston, approximately halfway between the Bays Hospital and Frankston Hospital. You get to our practice via the service lane. There is plenty of car parking in front of our practice. Camberwell Imaging ltrasound for women is situated in a cosy house on the corner of Camberwell Road and Gordon Street, 64 Auburn Grove, Hawthorn East, close to Camberwell junction. There is plenty of parking behind our building. You enter the car park via Gordon Street. By appreciating that every scan means something different to every patient, we aim to address individual needs in individual circumstances. We operate with the highest ethics in every facet of our work. By engaging with our patients, we provide a personalised experience. Our services enable our patients and referring doctors to make important decisions. We go above and beyond to ensure that the information, service and feedback we provide appropriately facilitates these decisions. We strive to excel in all elements of the service we provide. We expect, support and invest in our team to ensure that our commitment to excellence is upheld in every area of our practice. We love what we do. We understand and appreciate the importance of the role we can play in people's lives and this makes us enjoy it all the more. All our doctors are Obstetrician Gynaecologists with a subspecialty DDU and COGU qualification in Ultrasound.